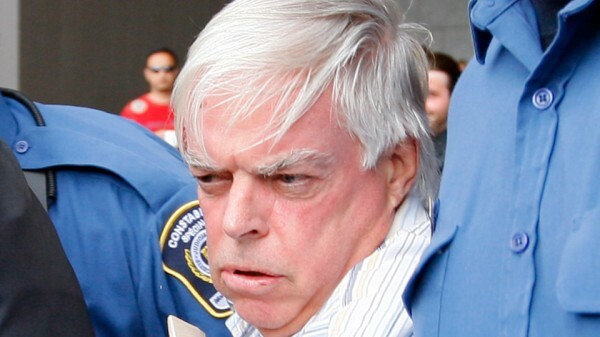 Renowned Montreal fraudster, Earl Jones, who bilked his clients of more than $50 million over three decades, was released from prison Thursday. Corrections Canada advised victims of the fraud that Jones would be released in Montreal on March 20. He was eligible for early parole because his crime was not considered violent. The fraudster's Ponzi scheme, uncovered in 2009, promised high rates of returns on his clients' investments between 1982 and 1999. Jones - who was never registered as a financial advisor or a stock broker - never invested the money and, instead, issued fake statements indicating reported interest. His victims - mainly elderly clients - handed over their life savings, pensions and estate inheritances. On his clients' tab, Jones enjoyed a lavish lifestyle purchasing properties in Dorval, Boca Raton, Mont Tremblant and Cape Cod. He also took cruises and paid for his two daughters' weddings, according to the Montreal Gazette. One year, the Gazette reported, Jones claimed he earned a $38,000 annual income, when he had, in fact, used more than $700,000 out of an in-trust account for personal use. Jones fled when his scheme was uncovered in July 2009, but was later found and questioned by the Surete du Quebec, where he confessed. He plead guilty in court January 2010 and was sentenced to 11 years in prison for fraud and theft. In addition to being permanently banned from working in the financial industry, Jones' is prohibited from traveling more than 50 kilometres from his Montreal residence, must report to his parole officer each week and is forbidden to contact his former clients, according to his probationary conditions.